The Patent and Trademark Office on Tuesday issued its 10-millionth patent since President George Washington signed the first patent in 1791. But a passel of inventors seized on the occasion to challenge the patent’s wording. President Trump was set to sign the patent titled "Coherent Ladar Using Intra-Pixel Quadrature Detection" in a White House ceremony with Commerce Secretary Wilbur Ross, the first chief executive to do so since President Ford in 1976. “More than just a number, patent 10 million celebrates the rich history and strength of the American intellectual property system dating back to the first U.S. patent, signed 228 years ago… and issued to Samuel Hopkins for a process of making potash, an ingredient used in fertilizer,” the agency said. The 10-millionth appears more complex, “with applications in such varied fields as autonomous vehicles, medical imaging devices, military defense systems, and space and undersea exploration,” the agency said in a release. It was invented by Joseph Marron and is owned by Raytheon Co.
"This patent represents one of ten million steps on a continuum of human accomplishment launched when our Founding Fathers provided for intellectual property protection in our Constitution," said Commerce Undersecretary for Intellectual Property and USPTO Director of Andrei Iancu. "Some of the greatest leaps humanity has made have been fueled by our greatest inventors, Americans who have changed the course of history with their brilliance and dogged perseverance." Ross added that "innovation has been the lifeblood of this country since its founding. Our patent system's importance to the daily lives of every American has never been greater. Given the rapid pace of change, we know that it will not take another 228 years to achieve the next 10-million-patent milestone." Commissioner for Patents Drew Hirshfeld praised inventors who are “are willing to take risks, challenge traditions, push the boundaries of convention, and test new limits in design and thought. The Ladar patent was also the first to be presented under a new “contemporary” patent cover design unveiled this March at the SXSW Festival in Austin, Texas, the agency noted, only the second such redesign in the past century. Also on Tuesday, a petition began circulating among inventors complaining that “the language on the face of the new patent design is legally incorrect.” The new patent “includes a false promise—that the patent grants to inventors ‘having title to this patent the right to exclude others from making, using, offering for sale, or selling the invention,’ ” it said. Filing their petition under the 1946 Administrative Procedures Act, the petitioners sought to remind the director of a 2006 Supreme Court decision involving Ebay that “eliminated the right to injunctive relief for patent holding inventors. This error was further highlighted by the recent Supreme Court decision Oil States, which held that patents are not property rights with the right to exclude, but are instead ‘public franchise rights’ like the right to erect a toll bridge, which can be given or taken at the pleasure of the federal agency, without a judge or jury,” the petitioners argued. "I hope that Director Iancu will continue to lead the USPTO to increase the reliability of the patent grant, first and foremost by being truthful," said US Inventor President and petition signatory Randy Landreneau. "The Supreme Court has said that a patent is not a right to exclude. Until Congress restores to inventors the right to injunctive relief, the words on the patent, while being in agreement with the U.S. Constitution, are legally incorrect." 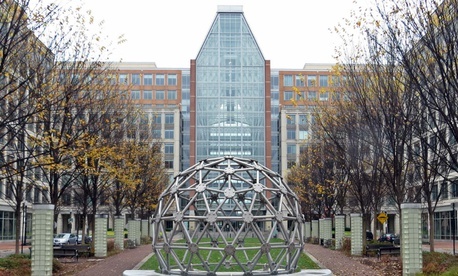 A Patent Office spokesman declined to comment to Government Executive.